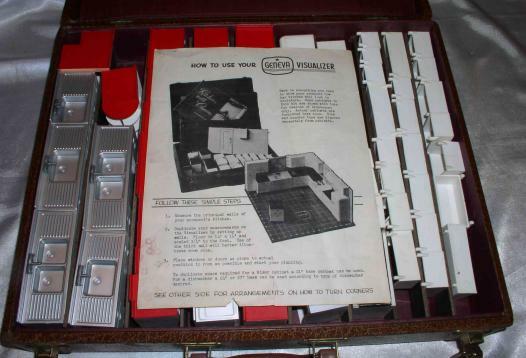 All you Geneva steel kitchen cabinet lovers – here’s a wonderful salesman’s sample kit. In the past month I’ve been able to feature kits from Youngstown and Republic. That’s 3 of the big 4 from the 50s and early 60s, we’re just missing St. Charles! These kits are great collectors items and much fun if you’re into steel kitchen cabinets … my #1 passion. And look – it’s showing stainless steel sink/drainboard combo’s — just like in today’s post! Oh, I love-love-love these! I collect Mullin’s Youngtown, but the Geneva set is gorgeous. Lucky buyer! Thank you for sharing pictures with us out here.